A deposit of £50 per person must accompany your completed booking form. This deposit is your commitment until six weeks before the departure of your tour. You must make payment of your final balance at least four weeks before departure. If this is not paid we reserve the right to regard the booking as being cancelled and you will lose your deposit. Should a member of your party be forced to cancel your booking we must be advised as soon as possible. A cancellation charge will be made to compensate for expenses of the booking and losses suffered by us as a result of cancellation. The earlier you make your cancellation the less charges will be. 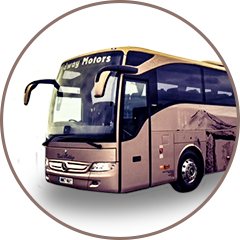 We reserve the right to cancel any tour if we do not reach the minimum number of bookings required (ie 20 persons). We reserve the right to alter the itinerary at any time. All monies are held in a rust account until the end of the holiday. You are responsible for ensuring all necessary documents eg. passports are valid and effective.